Aside from the concern that should arise from hearing these Republicans -- from the party that supposedly wants spending cuts -- applaud astronomically high spending levels, these arguments also ignore one simple fact: that our ballooning national debt is the single greatest threat to our national security. Our government could spend all the money in the world on our military -- and with this bill they have not fallen far from doing just that -- but even this would only exacerbate the underlying, terrifying national security problem of an ever-rising national debt. Former Joint Chiefs of Staff Michael Mullen, appointed in 2007 by President George W. Bush at the recommendation of Secretary of Defense Robert M. Gates, made this point clear. “The most significant threat to our national security is our debt. And the reason I say that is because the ability for our country to resource our military -- and I have a pretty good feeling and understanding about what our national security requirements are -- ... [is] directly related to the health of our economy over time,” Mullen said in 2010. There is nothing healthy for the economy about borrowing and spending ourselves into a $22 trillion debt, and ignoring the looming entitlement crisis created by unchecked mandatory spending. Unfortunately, Republican leadership in Washington pushed through a 2,232-page spending bill in less than 24 hours, packed with $1.3 trillion in discretionary spending, returning the U.S. to Obama-era yearly deficits of over $1 trillion, and further increasing our national debt. Additionally, there is no political will among Republicans to tackle mandatory spending, which consumes a greater and greater percentage of the United States’ budget every year. Mandatory spending runs on autopilot, and is now more than 60 percent of the overall budget. Included in mandatory spending are Social Security, Medicare, and pension plans. It is estimated that the federal government owes over $30 trillion in unfunded Social Security promises, nearly $45 trillion in unfunded Medicare promises, and over $7 trillion in pensions or other retiree promises. Together, with the national debt, this is nearly $100 trillion looming over our heads. Who will pay for this debt? Ultimately, all taxpayers will, fiscally speaking. But, the military alone will pay its price as well. Last month, Director of National Intelligence Dan Coats warned that our fiscal “situation is unsustainable...and represents a dire threat to our economy and national security,” in an open hearing before the Senate Intelligence Committee. This is not difficult to understand. Not only is there the obvious problem of the United States eventually being unable to continue funding its military, but there are more intricate dynamics at play prior to this crisis ensuing. Being tens of trillions -- and by extension, hundreds of trillions -- of dollars in debt threatens U.S. credibility and leadership, increasing skepticism about our ability to maintain military presence and force in the face of such immense debt. Running our military activities on borrowed money is irresponsible, and can affect allyships and strategy abroad. Saddling ourselves with debt is not only irresponsible fiscally and dangerous in the realm of domestic policy, but it also severely limits the United States’ leverage in the international sphere. This comes directly at the expense of the men and women in our military. Those Republican congressmen and senators who cowardly hid behind the drastic increase in defense spending as their cause for joining hands with hundreds of Democrats in passing a disastrous spending deal should take a second look at the facts and the words of experts. In terms of sound policy, fiscal responsibility will always win the day. 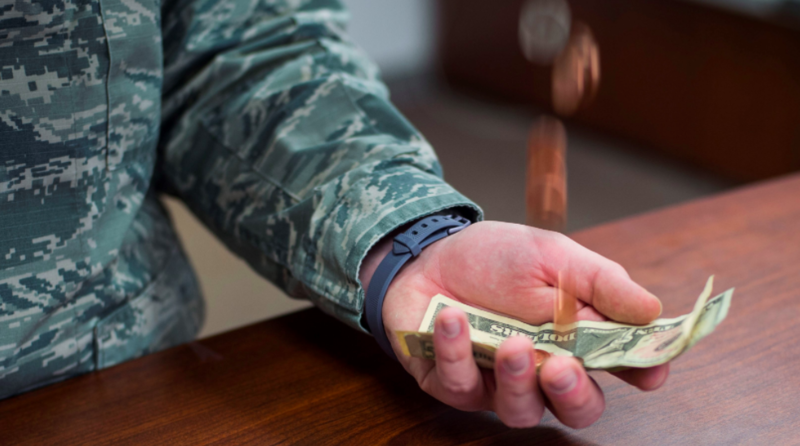 To help taxpayers and simultaneously bolster our national security and provide for our troops, lawmakers should do one thing before all else: reign in spending.